We can all agree that next to “pang kang loh”, lunch is the best time of the day. Since it’s a momentary reprieve from our daily grind, we should milk the heck out of it and indulge in savoury nosh to keep us going till EOD. Thankfully, some restaurants are woke enough to understand the importance of this blessed hour. 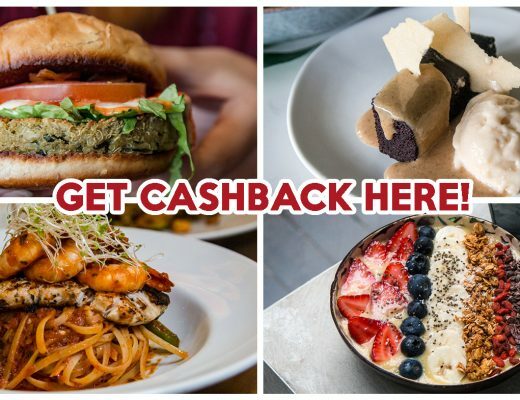 That’s why they’re dishing out 1-for-1 lunch deals that’ll keep both our wallets and tummies full. With its netted ceiling and dim lighting, Citrus Bistro makes for a romantic date night spot. However, dusk isn’t the only time to be here. Pop by between 12pm and 3pm on weekdays to enjoy 1-for-1 deals on their mains, burgers and pasta. 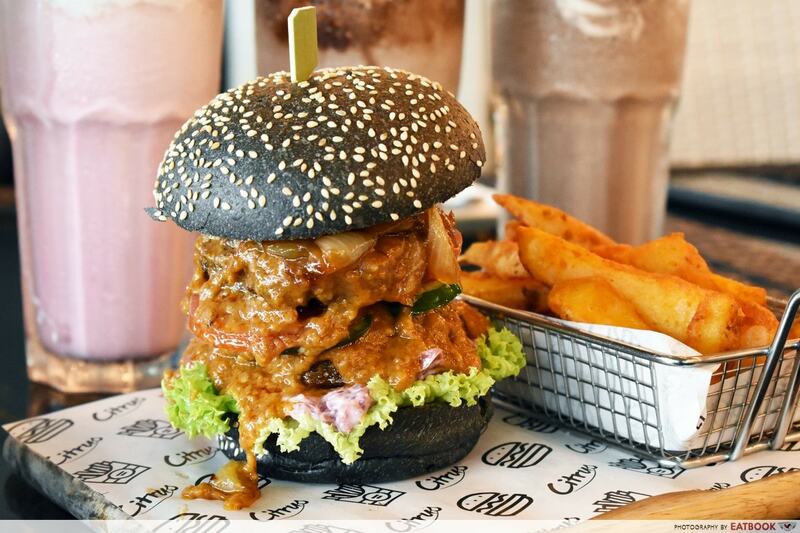 We tried their BIG Boss Burger ($17.90+) and loved how juicy their beef and mutton patties were. The satay sauce in the burg’ had a sweet undertone that complemented the caramelised onions. 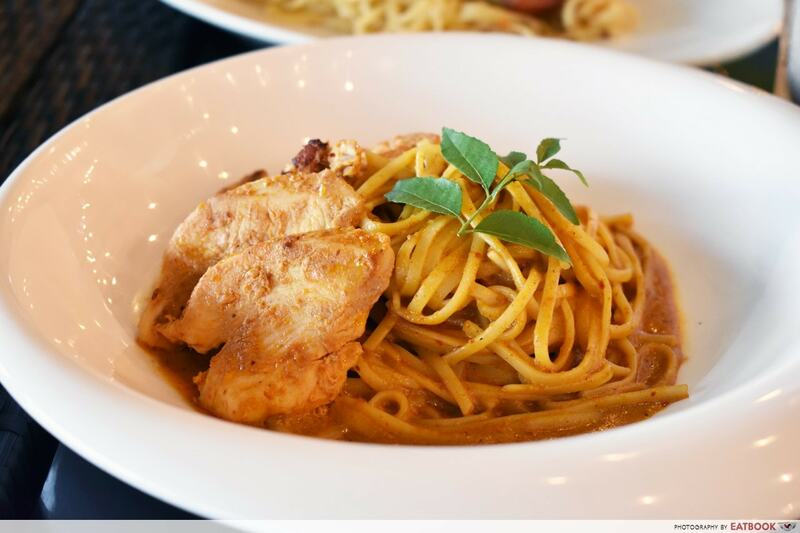 Another dish that’s worth a try is the Dry Curry Pasta with Chicken ($11.90+) – linguine tossed in a flavourful Asian curry blend, topped with tender chicken fillets. Why settle for breakfast when you can have lunch at Tiffany Café & Restaurant? 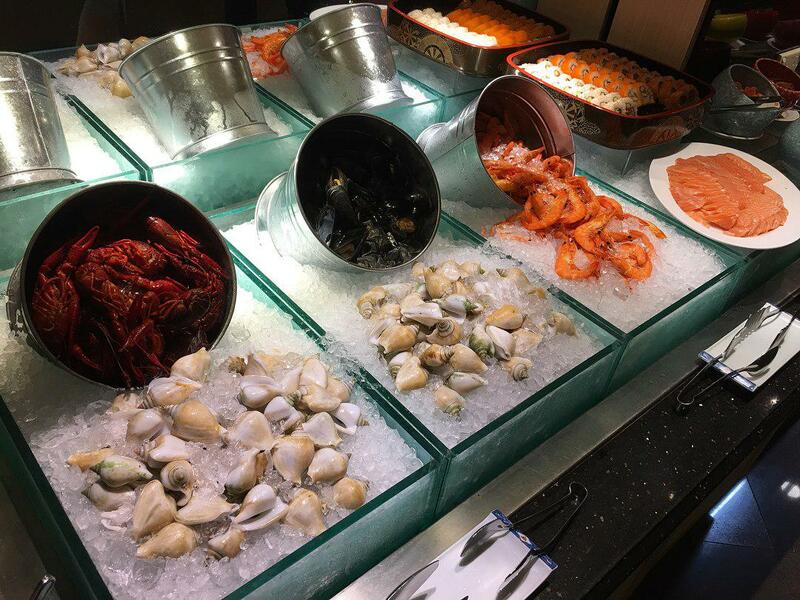 Located in Furama City Centre, the restaurant is one of the many that serves 1-for-1 lunch buffets in Singapore. 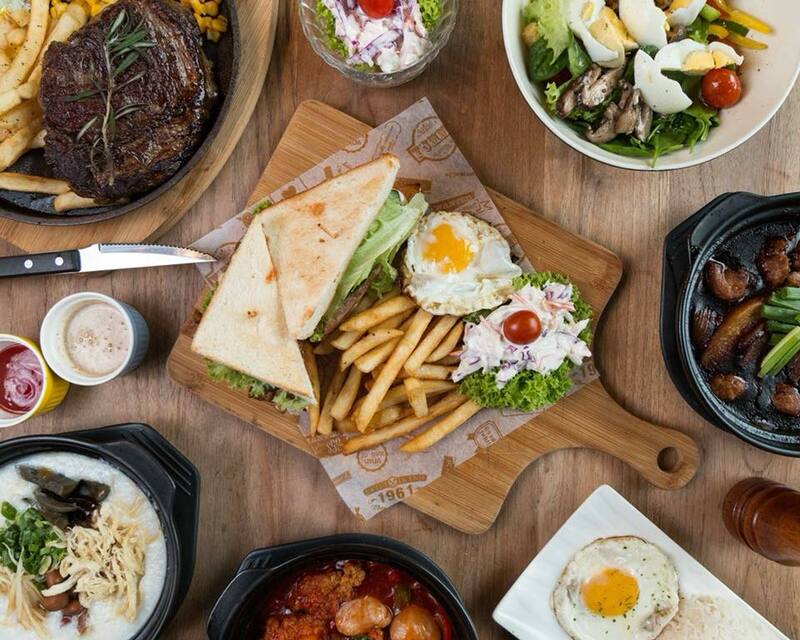 At just $53.80++ for two diners, you and a buddy can devour all sorts of international cuisine like grilled meats, chicken rice and seafood. 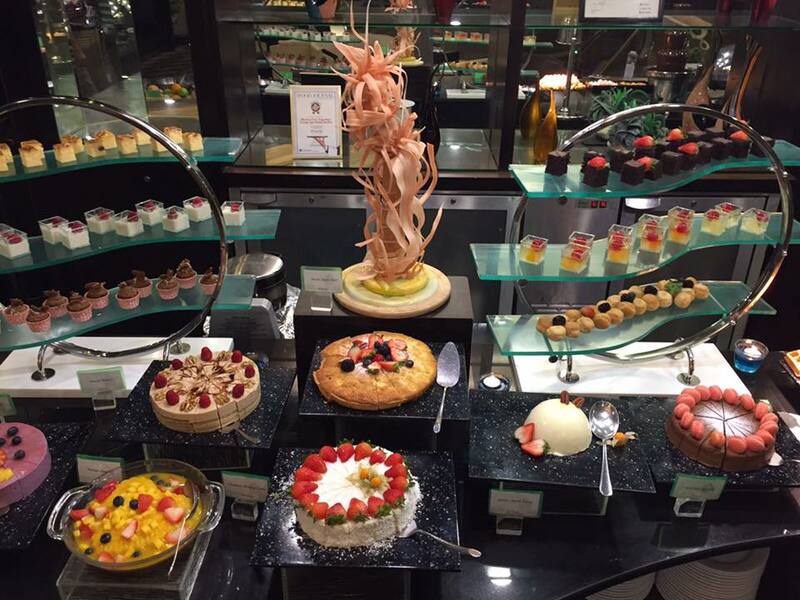 As someone who’s been here a couple of times, be sure to attack their dessert section, as it’s full of toothsome treats like pies, cakes, fondue and ice-cream. The Lazy Garden Cafe differs from the others on this list, as their 1-for-1 deal lasts all day, every day. To get in on this, simply purchase a drink, and their menu of over 40 mains will be up for grabs! A lot of customers have raved about their Striploin Beef ($28+) which is supposedly very tender. Besides mains like burgers and steaks, there are also 1-for-1 dim sum you can tuck into between 2:30pm and 5:30pm daily. THEY HAVE A ROBOT SERVER! So whether you’re here for reasons one or two, take comfort in the fact that there’s over 20 Western mains to choose from. Have a quick look at their menu and you’ll see that the Prawn & Asparagus ($24++) is one of the few items that’s recommended by the chef. 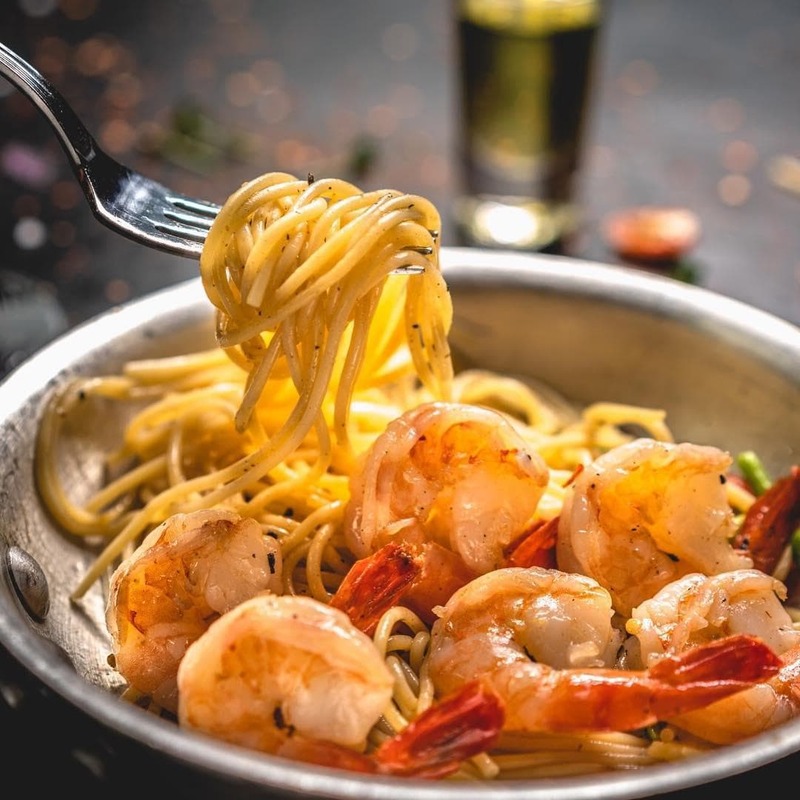 This simple dish consists of spaghetti, prawns, asparagus and cherry tomatoes, cooked aglio olio style. Spending time at a country club doesn’t have to be an expensive affair, as Royal Palm shows. 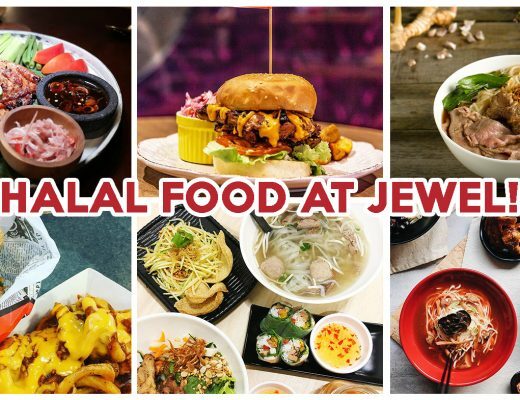 Located inside Orchid Country Club, this halal restaurant is helmed by celebrity chef Shahrizal Salleh, and serves a wide array of international and local fare for just $40++. 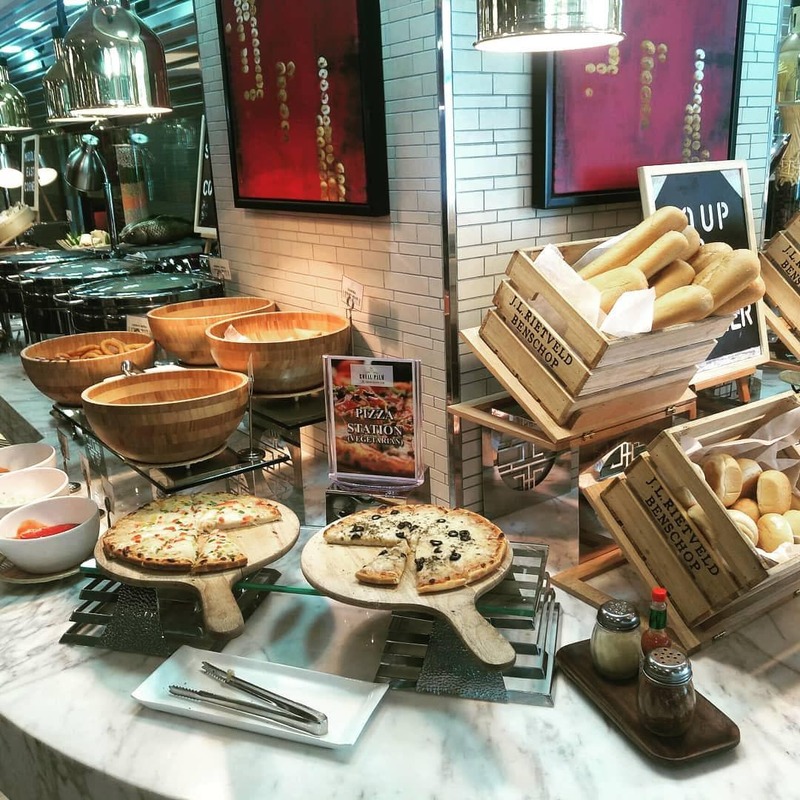 Do note that the spread changes daily, but you can expect the likes of tom yum soup, churros, cheesy chicken breast and biryani. 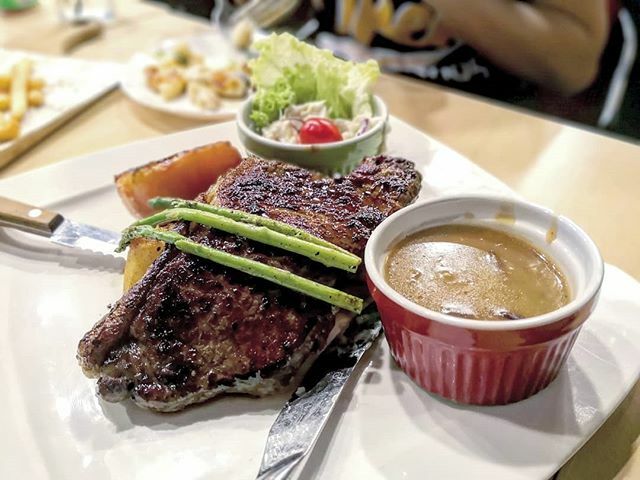 For those who prefer dining in the heartlands, Ice Edge Cafe has got you covered with its convenient location that’s in the middle of a few housing blocks. 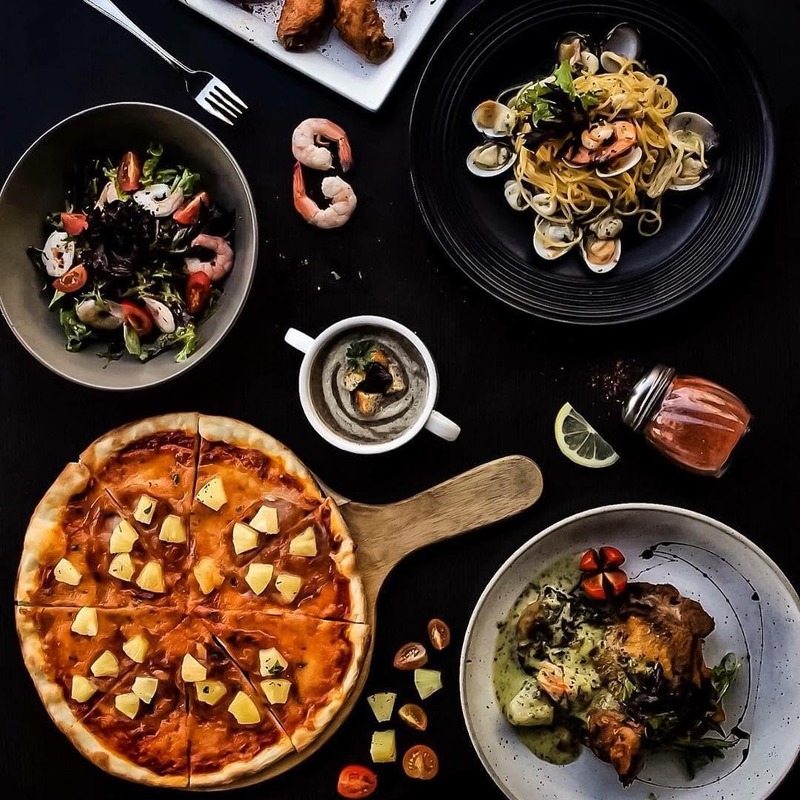 The cafe specialises in pizza, pasta and gelato ,but if you have a light appetite, rest easy as their 1-for-1 promo applies to non-mains too. 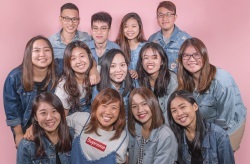 Glasshouse by DHM takes their 1-for-1 lunch promo to a whole new level – literally. 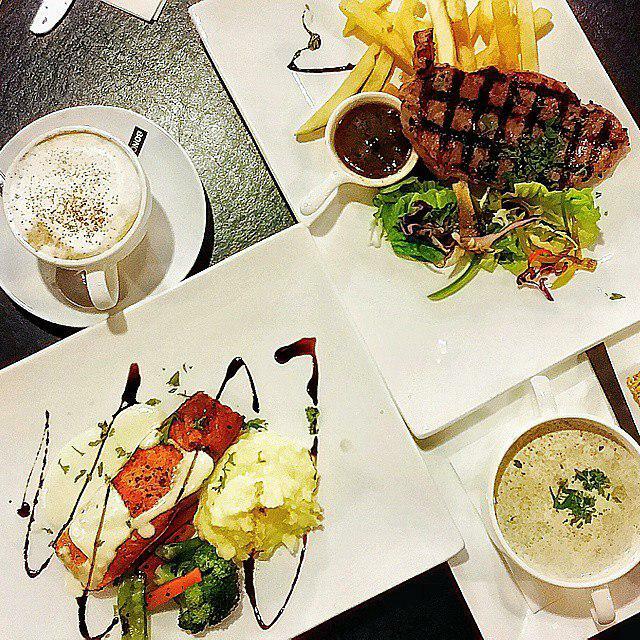 This two-storey joint houses four different restaurants – each with their own selection of 1-for-1 items. L’Entrecôte’s star dish, Trimmed Entrecôte Steak ($34.90++), is arguably the reason most people come here. 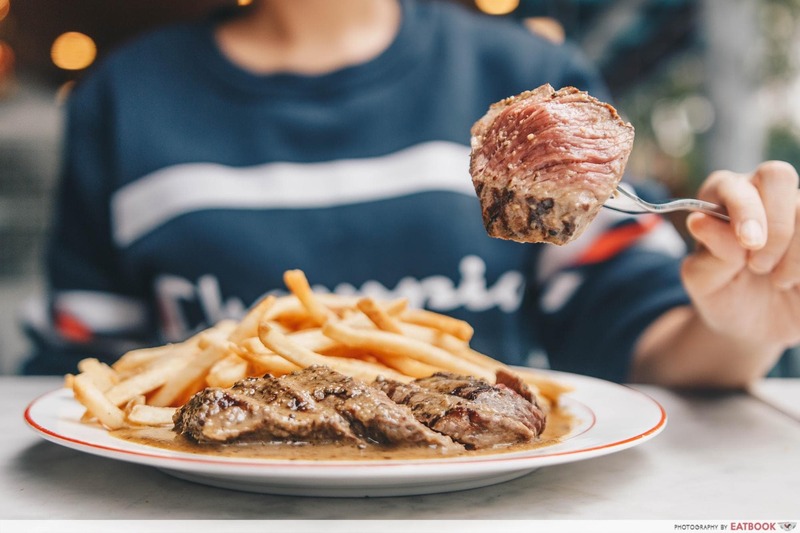 Using a secret recipe from France, this dish features steak frites served with a rich, buttery sauce. 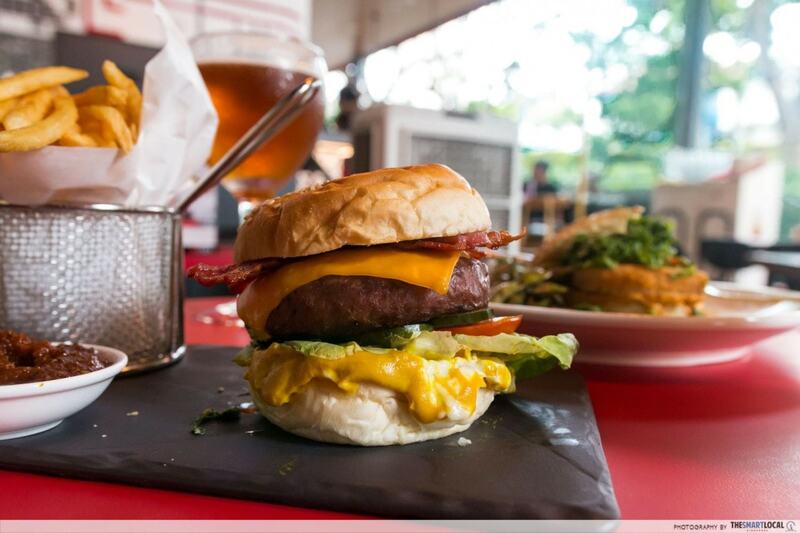 &Made’s N.Y. Bacon Burger ($24++) is also something you should sink your teeth into. According to a colleague, cheddar cheese was practically oozing off the burger when it came to her table. Biting into it, you’ll be able to taste the full works of beef patty, smoked bacon, tomato, lettuce, and pickled cucumber. Having an affordable lunch doesn’t mean resigning yourself to the plethora of hawker centres here. All it takes is a quick Google search or –hint hint– this article, and you can gorge yourselves silly on 1-for-1 food at many cafes and restaurants.